Barrica Tapas Bar, sister restaurant to Copitas Tapas Bar in Soho, is a quaint and cosy Spanish restaurant in Fitrovia with yellow walls and checkered tiles. Laid-back it might be, but both the food and wine list are adorned with serious stuff to offer the diner an experience that is genuinely authentic. On the menu were the usual classics such as croquetas de jamón and tortilla (both of which had run out by the time we turned up), a range of hams, but to name a few. The wine list had been carefully compiled to showcase the diversity of Spain and included 16 sherries, ranging from sweet to dry, with each being available by the glass. Barrica means business, having invested in a bespoke, temperature-controlled cabinet which keeps red wine at its optimal drinking temperature, 16 degrees celsius. What’s more, everything is very reasonably priced. In 2016, Barrica was awarded a Bib Gourmand by the Michelin Guide which recognises quality at great value. Sadly we didn’t have the opportunity to try the tortilla or the croquetas (my go-to favourites), but we were thoroughly thrilled by all the other savoury items that we tried, especially the grilled king prawns (£9) which were a delight. 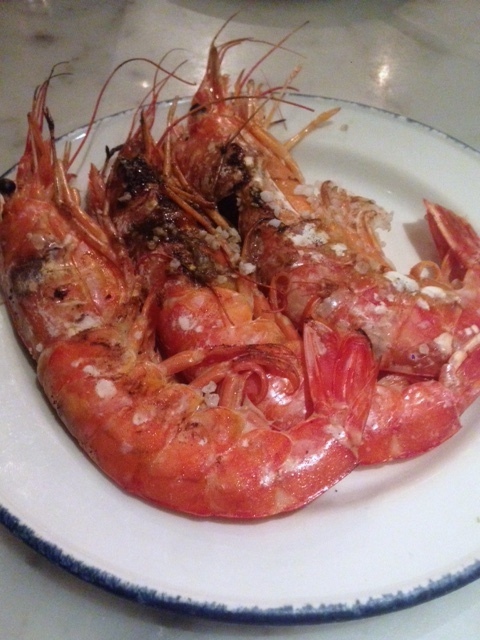 On the plate were three large prawns in the shell which were nicely cooked, succulent and juicy. 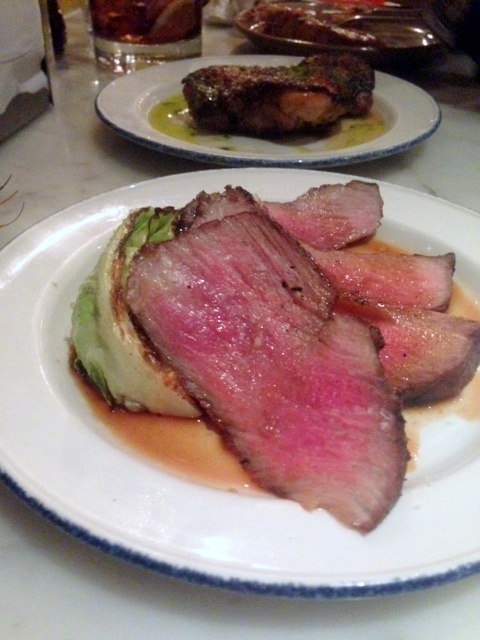 The pork shoulder with seared baby gem lettuce (£9) was superb. The pork was perfect in every way – well cooked to a lovely pinkness, tender and wonderfully seasoned. What’s more, it was incredibly flavoursome with a smoky taste which elevated the pork to something rather magical. The baby gem lettuce, with its slightly charred flavour, was also delicious. 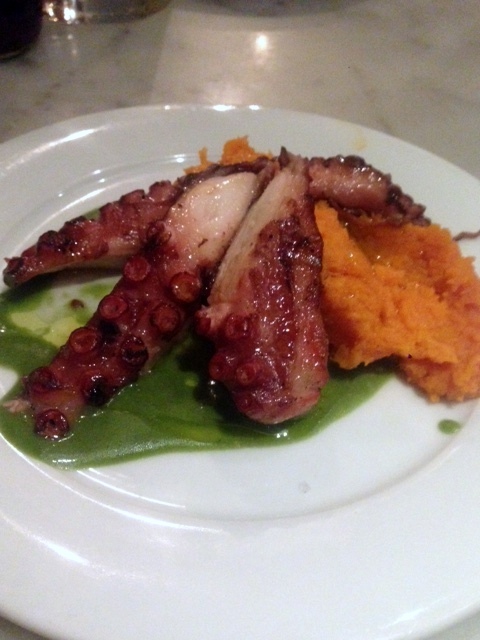 The chargrilled octopus with sweet potato and coriander sauce (£12.50) was also very good. Again, this was tender with a good flavour. The mashed sweet potato made for a nicely accompaniment and the coriander sauce worked a treat with the octopus. Char-grilled chicken with lemon and garlic sauce (£5.50) was also enjoyable. 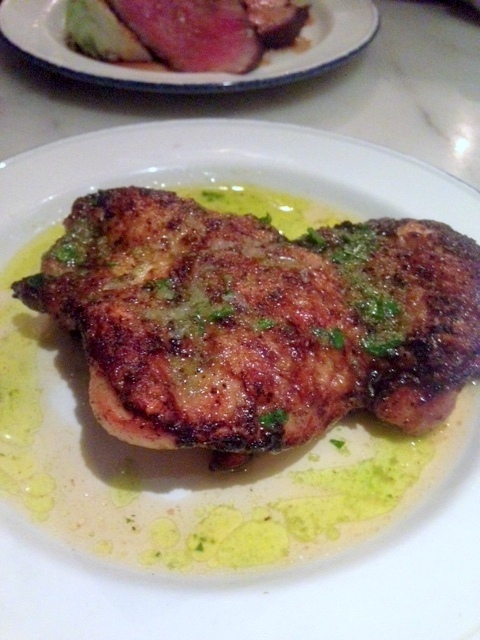 The chicken was moist and there was a fabulous crispiness to the skin. But it was difficult to detect the garlic in the sauce. And while it was good, at the end of the day, it was just chicken. 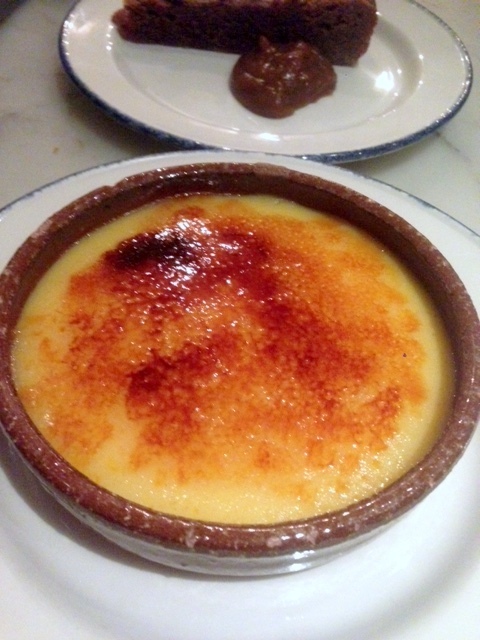 Barrica fell short in an area where other Spanish tapas restaurants in London also seem to fall short – dessert (read my review on Lurra where the desserts were disappointing). The Crème Catalana (£5) wasn’t bad. It had a good texture, but I found the citrusy elements of orange and lemon zest to be rather overpowering. 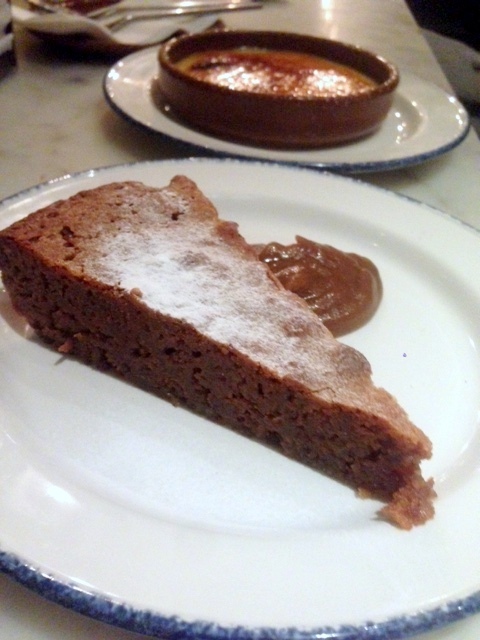 A second dessert of ‘walnut and coffee tart’ (£5.50) was ok. More of a stodgy cake than a tart, it was accompanied by a rum and apple cream which was awful. Desserts aside, I thought the savoury dishes at Barrica were excellent. What’s more, there was a wholehearted and heartfelt touch of homeliness in the cooking which I found to be very endearing. The service was a little low to get started, especially as we were seated in the corner, away from view. But once it got going, the service was fine. Barrica is a steady, authentic and lovely experience. Just avoid the desserts because it just doesn’t quite live up to the same standards set by the savoury dishes. 1) The pork shoulder and the grilled prawn dishes were excellent. Overall the savoury dishes were very good. 2) The authentic approach to the food and wine list. 1) The desserts were poor. Price: About £30 to £40 a head, excluding drinks and service.